I am happy that my project and the Propeller holds your attention and provides distraction from your life's other issues. I always enjoy reading of your projects and reviews. Strangely, I've now learned of TWO of these kind of devices in the same week. Firstly an "Arduino Uno" board, one of which I have ordered from a UK supplier, and now "your" Gadget Gangster Propeller, and those after having locked horns with those rather impentetrable (to me) PIC microcontrollers at the assembly code level. It's a small world! 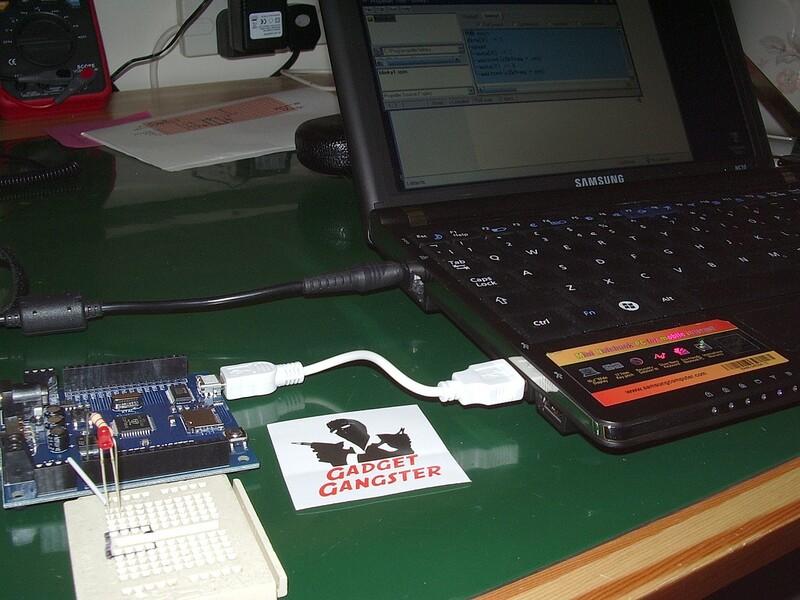 As far as I can see, Arduino and Gadget Gangster seem to be doing similar things, mainly making microcontrollers a bit more "user-friendly" and allowing the limiting factor to be the user's imagination rather than the esoterica associated with W and F registers, etc, etc. I've never looked at the Arduino. The Propeller seems to be a lot more powerful than the Microchip PICs, but main thing is the Spin programming language which is much higher level and easy to understand compared to PIC assembler. In my younger days at university I was a bit of an assembly code wizard but my 58 year old lobotomized brain can't hack it at all now.